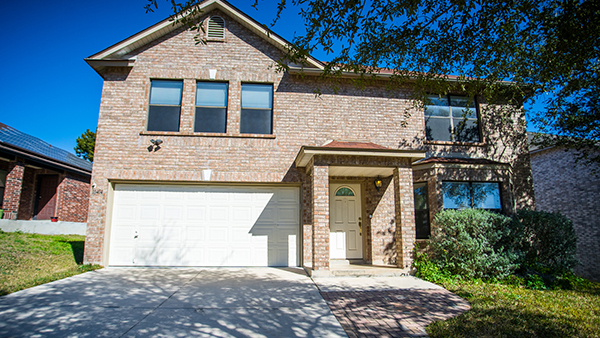 Gorgeous 2 story brick home located in the extremely desirable Stonefield subdivision, conveniently located in NW San Antonio close to 1604 & Bandera Rd. Easy access to multiple highways, and countless entertainment venues including shopping/dining. Amenities include swimming pool, clubhouse & park, Very low HOA fee. Meticulously cared for & updated, it offers over 2400sqft, New laminate flooring entire upstairs, fresh paint, hot tub, fridge conveys, water softener/filtration system conveys w/ good offer. For more information, contact one of our REALTORS today! We're sorry, but we couldn't find MLS # 1361434 in our database. This property may be a new listing or possibly taken off the market. Please check back again.